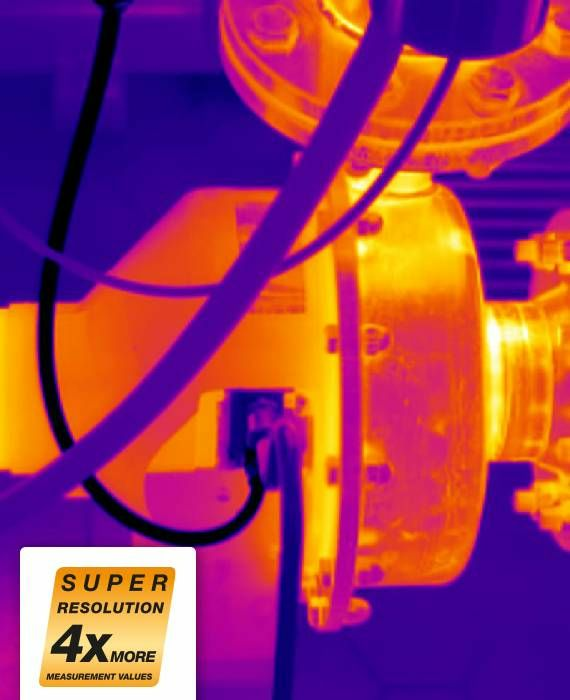 The patent-pending SuperResolution technology improves the thermal image quality of your Testo imagers by software upgrade. 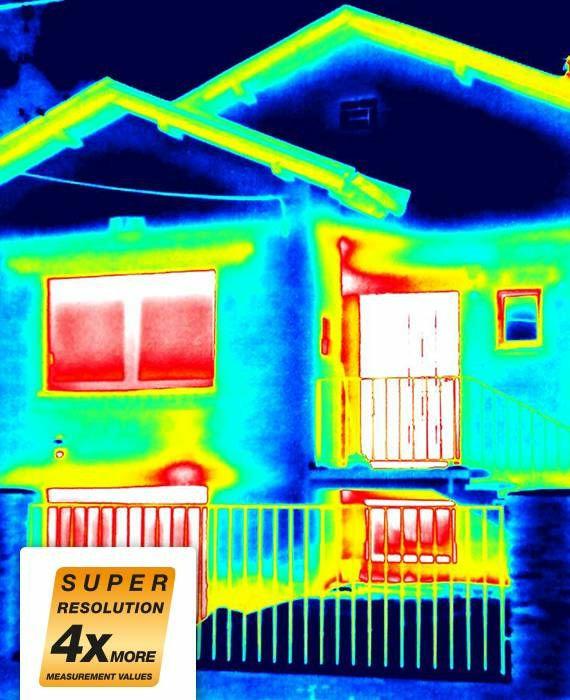 With SuperResolution, the images have a higher resolution, and are therefore more detailed. 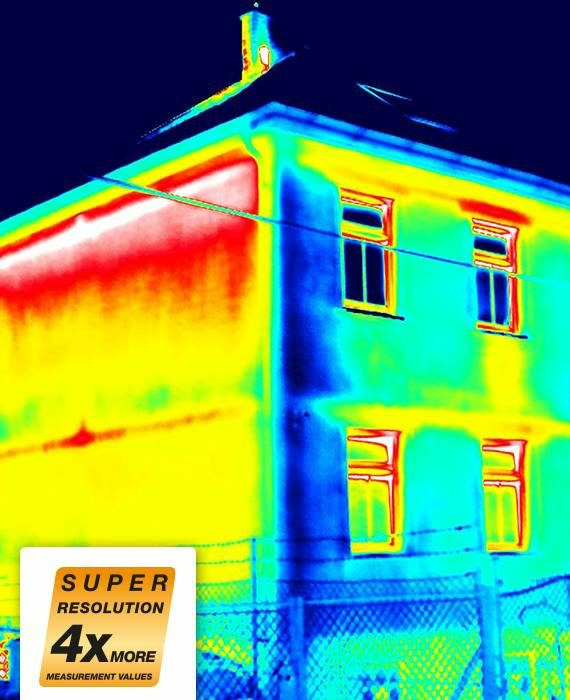 The important thing is that: SuperResolution technology always records genuine temperature measuring values – there are no artificial intermediate values projected! 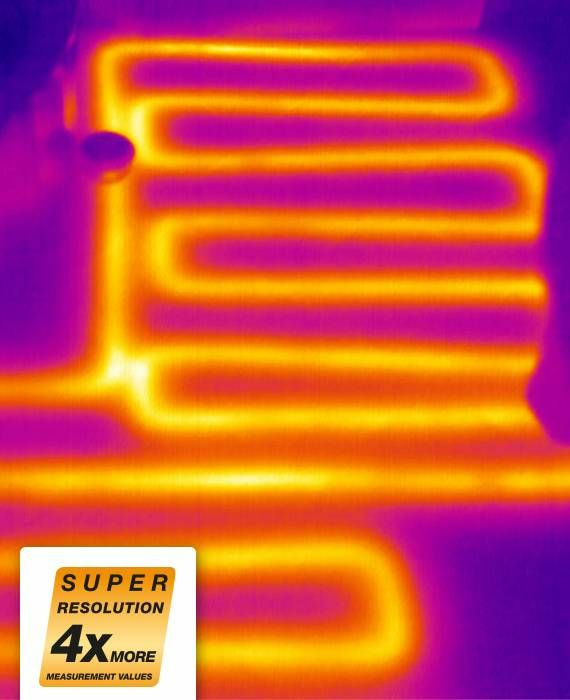 This means that this technology offers the possibility - without using larger, more expensive detectors - of recording more temperature measuring values. 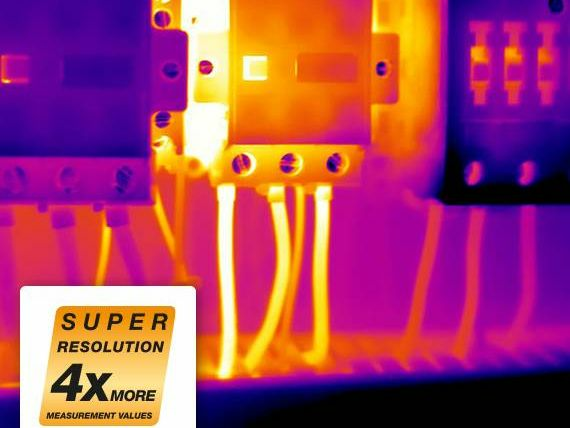 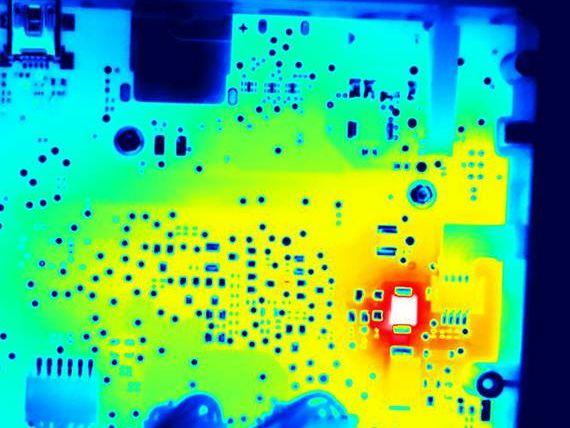 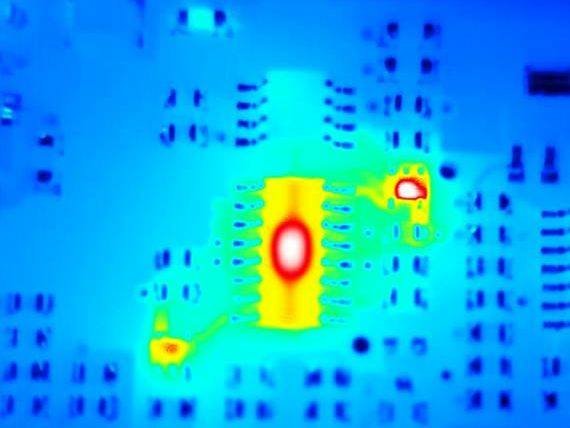 In addition to this, the improvement in the quality of the recorded thermal image means at the same distance between the thermographer and the measurement object, considerably smaller measurement objects can be recorded. 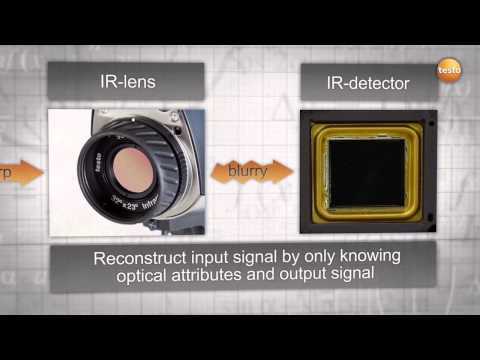 At the same time, more details can be identified with images captured from a great distance. 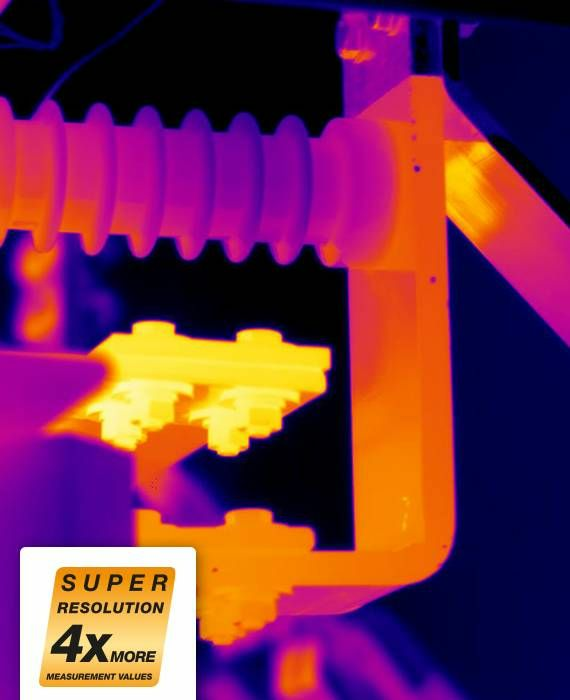 The SuperResolution upgrade is available for the Testo thermal imagers testo 870, 875, 875i, 882, 885 and 890.